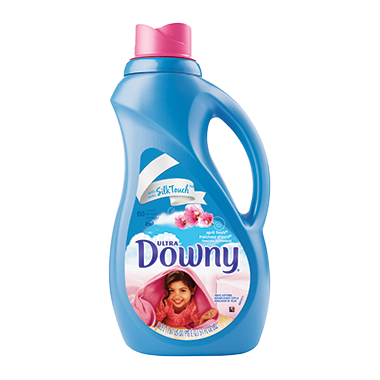 This Downy Ultra fresh, blooming favorite makes all your fabrics silky soft. Ultra Downy April Fresh liquid fabric softener provides an entire week of motion - activated freshness with just one wash. Plus, just one cap full of Downy protects $200 worth of clothes with every wash.
A classic Downy fragrance! One of the originals (with all of the Downy fabric-softening properties as usual). My bed sheets are so much nicer now. While it's true that this product's scent has changed over the years, the ability to make clothing soft and comfortable has not! I've used it since 1977 and love it. This is the only fabric softener I will use now. It has a soft, fresh smell that is not harsh. My towels and clothes feel so soft! I have been using this Downey for over 40 years, there is nothing better on the market. My towels are still soft and being used after all these years, the smell is not heavy just fresh.